Blogging and instagramming (I'm not sure if that's a word but let’s just roll with it) are two of the things that take up most of my spare time. Sometimes it can be difficult to think creatively when you’re at home or if you’re environment isn’t particularly inspiring so I thought I’d put together this post today to talk a bit about the difference ‘happy decor’ can make. Instagram (as many of you will know) is my weakness. I can’t go an hour without scrolling through pretty photo’s of granola and waffle breakfasts or the ootd's and beauty blogger photo’s that help and inspire me everyday. Some of the people I know IRL find the whole themed instagram thing a little weird but I love being able to be creative and take photos of things I love in my bedroom! I study photograph A level but sometimes it's nice just to mess around with my camera less seriously without worrying about composition and if I've got the right ISO which is why I adore blogging so much! Having a creative and happy environment to work in can help me feel motivated with blogging but also leaves me happier overall with photography products and feeling confident with the content I produce. Bloggers block is probably something every one of us has experienced when your creative juices aren't really doing their thing and you're stuck for what to write. Cue introducing creative spaces and inspiring pinterest typography! 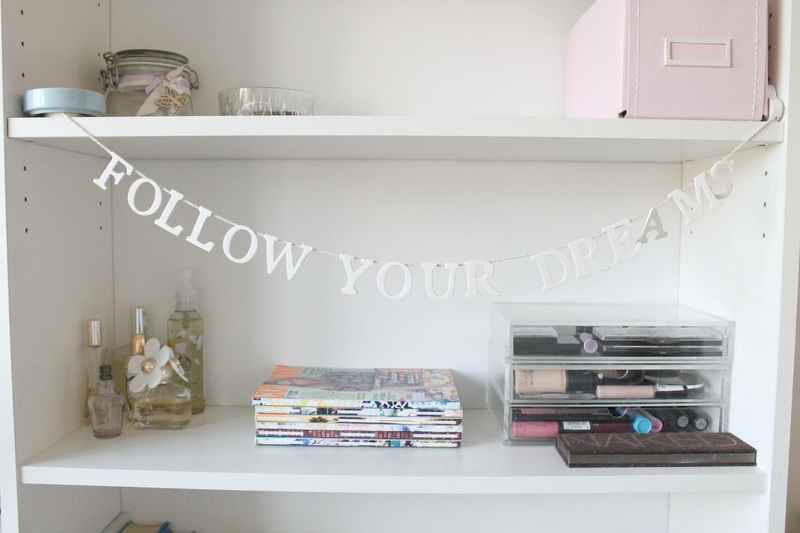 One thing that really inspires me and helps me with writing my blog or just being more positive in general is decorating your room with happy decor and including all the things you love. My room used to be a space that was pretty plain and included some of the things I enjoyed but in general was a bit of a mess. I've seen so many lovely rooms from youtube bedroom tours or from snippets in blog posts and it really motivated me to get rid of all the things I was hoarding and make my room a more positive less crowded place. I think surrounding yourself with positive quotes or just photographs with your friends or concert tickets stuck to your walls can honestly make such a difference to your outlook and mood which makes for a very happy charlotte. Sometimes it can be difficult to balance blogging and college work/other commitments and occasionally I find myself stuck with what to post when my creative juices just aren't doing their thing. I was browsing the card section of paperchase a couple of weeks ago (as any stationary addict like me will know this is a pretty regular occurrence) and found myself picking up a few inspiring/happy postcards. Some of them have little quotes to cheer you up or are just small reminders to keep going if you're having a rubbishy day. It really got me thinking that the environment you surround yourself with has a huge impact on how you feel just as much as the people that are in your life too. I thought I'd share this today to encourage other people to include some 'happy decor' into their own bedrooms because it honestly makes such a difference. As I said at the start of this post, blogging and thinking creatively for a large proportion of my time can sometimes be difficult but making your room or wherever you blog a more creative and naturally happy space can really help. 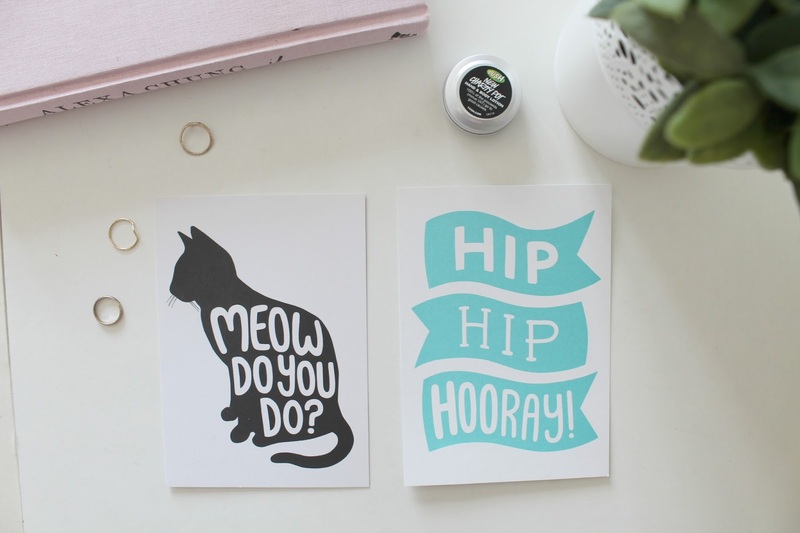 I've written a couple of motivational quotes on post it notes around my room and I have postcards with happy messages written in pretty darn cute typography which are just a couple of ways you could include some happy decor to your room. Let me know if any of you guys feel the same about blogging or making for happy interiors or if this has inspired you to make your room a more creative space. In other news, I finish college for summer today so expect lots of posts throughout august (I think I have about 12 scheduled, I know, I was feeling pretty cray) so make sure to follow me on bloglovin’ too because i’m super close to 100 followers! Have a lovely Wednesday guys!